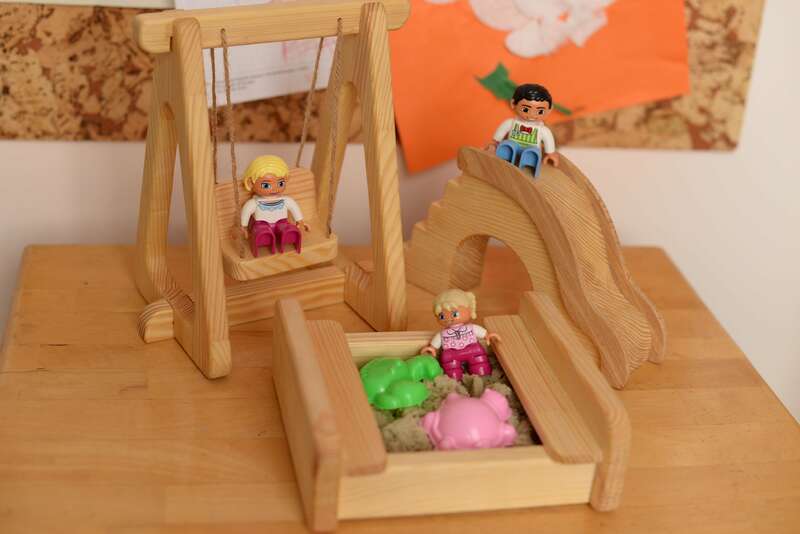 Wooden toys Swing, Slide, Sandbox. As children play with wooden toys and act out different scenarios, they will create scripts for the different characters in their play. These will help them to understand how people communicate with each other and also about different social situations. It is a great gift for your child, is 100% wood and hand Crafted, eco-Friendly, Unique, safe for children.